Old Delft or Oude Delft was an optical company in the Netherlands. 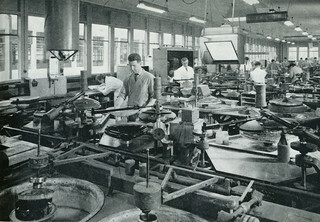 The company was founded in 1939 under the name "Van Leers Optische Industrie" by Oscar J. van Leer in Delft. 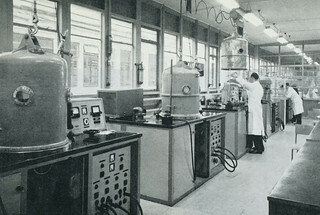 Soon afterwards Professor Dr. Albert Bouwers joined the company and the name was changed to "Optische Industrie De Oude Delft". In 1985 the companies name was changed into "Oldelft Groep" and in 1990 it merged with the company Enraf-Nonius into "Delft Imaging Systems". 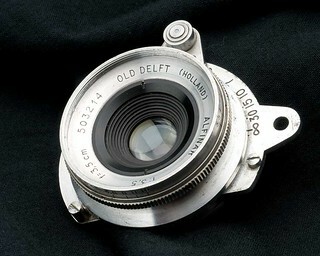 The "Oude Delft" produced optical and related finemechanical products for the photographic, medical and military markets. De Oude Delft 25-Years Jubilee Photobook "Tovenaars onder elkaar" published 1964 by De Oude Delft. This page was last edited on 29 October 2016, at 14:56.